A few young gentlemen making noise since 2003. 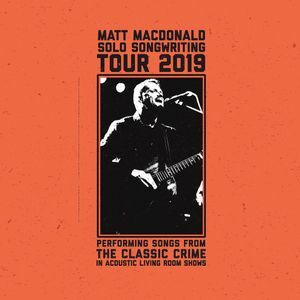 VANCOUVER, WA | Matt MacDonald from The Classic Crime’s Solo Songwriting Tour 2019 - Intimate acoustic living room performances of The Classic Crime songs + Q&A and conversation. Songwriting Workshop (not just for songwriters): A deeper dive into the art and craft of songwriting. Hear Matt MacDonald share his personal songwriting philosophy in a brief talk, followed by group dissection of song structures and lyrics, with a Q&A. Workshop starts at 5:00pm and goes for two hours before regular doors. Workshop tickets include the official tour performance afterwords.